Therefore we decided to explore custom lint checks for our libraries. It turns out that custom lint checks can be useful for both library and application development. In this post I would like to share some of our learnings. The customrule.jar that is generated after following the above instructions needs to be put in a local directory (~/.Android/lint). Using a local directory does not scale well with a large number of developers since it's hard to update everyone's machine at the same time. Local directory does not work well with a continuous integration (CI) system like Hudson. Therefore we needed a scalable way to distribute the rules. Writing Custom Lint Rules are based on Eclipse. We have moved to the new Gradle based build system, and we wanted to use one build system for both lint rules and libraries. The solution we found is outlined below. 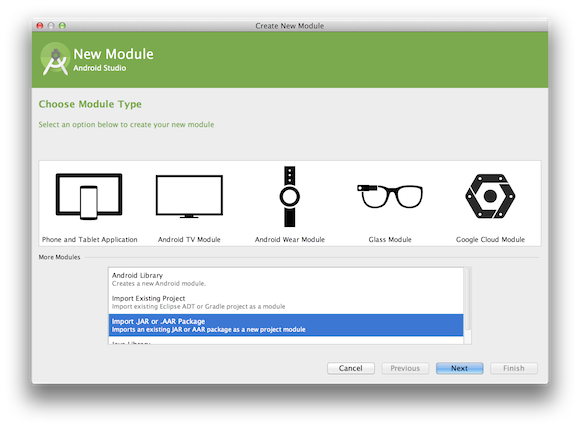 It's based on Gradle and does not require any local environment setup other than installing the Android SDK. AAR is the new binary distribution format of Android Libraries. It bundles resources within it so that images and layout files can be distributed. The AAR format indicates that an AAR file can contain an optional lint.jar. It's been confirmed by Android's tools team that if an app depends on a library that contains a lint.jar, then the rules defined in the lint.jar will be executed in the app's lint task. So if we can package the lint.jar into an Android library in AAR format, then the lint rules will be shipped through Gradle to all the team members, and will also be automatically integrated with CI systems like Hudson. In this way both challenges mentioned above are solved. You can find a working sample using this configuration here. First we need to create a pure Java module to generate lint.jar. In the Android library project, create a new Java module called lintrules in which all lint checks related code will reside. Add lint-api dependency from Maven Central in the LintChecks's build.gradle file. Write the lint check as described in Writing Custom Lint Rules. Note that the API referenced in the documentation is a bit outdated and the associated code will have to be slightly modified to build successfully. At this point we should have a working JAR file. 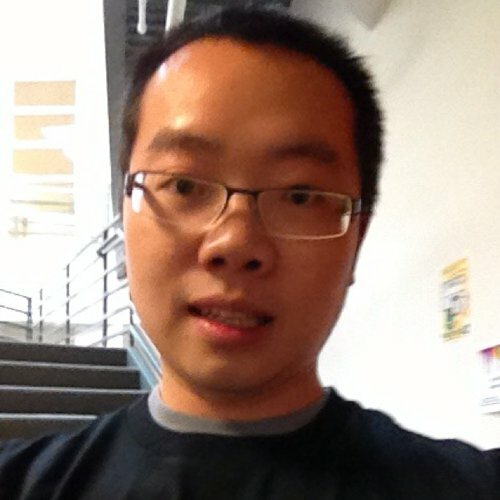 You can build the Java project using ./gradlew lintrules:assemble. The resulting JAR is located at lintrules/build/libs/lintrules.jar. It's a good idea to verify the JAR works before continuing any further. Now delete local JARs to avoid any conflict. Unfortunately adding lint.jar into AAR is not supported by Android's Gradle plugin. You can work around this issue by adding some cross project configuration in Gradle. LintRules module should provide its output so that the library module can reference it. A working project based on Android tools documentation is available here and an app that depends on the output AAR file is available here. Even though the code appears perfectly fine, the hidden problem here is that we try to cache the Update objects in memory. Let us assume an Activity displays a View that is rendered by LeakUpdate and the user presses back to quit its Activity. At this point, we will keep the model object in memory for later usage. The model object references the ViewHolder that holds on to the View which in turn references the Activity. This results in causing one of the most common memory leaks in Android that is caused by keeping a long-lived reference to a Context. These errors are not hard to fix but definitely hard to find. The symptoms are general slowness due to constant GC or out of memory error at random places. Once we figured out the pattern, we decided to write a lint check for this issue. The logic for this lint check is simple. It scans all Update subclasses and find fields whose type are View, Context, Fragment or ViewHolder. Lint API package contains some useful utilities like isSubclassOf that make this particular check easy to write. It's also helpful to read Writing a Lint Check and asm documents. The result was shocking since we found several different leaks and were able to fix them quickly. Lint APIs are not final and they do change. Do check the source code of lint checks in SDK for reference. The source code can be viewed online. Depending on a library project source code via compile project(':library') does not work. Writing unit tests as described in write a lint check is not straightforward for custom lints. The lint-api is on Maven Central but the test dependencies are not. This requires us to copy the source files to the tools and build the Android SDK tools project by following the instructions here in order to unit test custom lint checks. Lint ID should be unique. It's a good idea to prefix the id with Java package name of the id. E.g. 'com.linkedin.updateLeak'. You can reference the ID later to change the severity in the same manner as SDK's lint IDs . For example, we treat an update leak as an error using lint.xml. This is just a taste of custom lint checks. We are excited about the potential and looking forward to what is in store in the future. Thanks to Sameer Sayed and Dustin Shean for providing feedback and Jan Soliman and Szczepan Faber for Gradle tips.